This book may be described as an elementary practical handbook of Vegetable Histology and Physiology, containing in addition a short course of practical work on selected types of Cryptogams and Grymnosperms. It is divisible into three sections, namely, Histology, Physiology, and Life Histories. 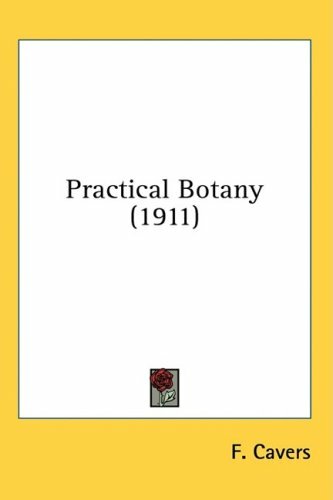 This Study Guide to the Science of Botany is a textbook intended to establish a course of study in the subject of Botany, utilizing articles provided in Wikipedia, with links to other relevant web sites and other Wikibooks as appropriate. This book explains the easiest way of telling flowers and plants. These ways are based upon the new classification. The first way of telling flowers is by color. It is the simplest means of identification, and to this the most space is given.